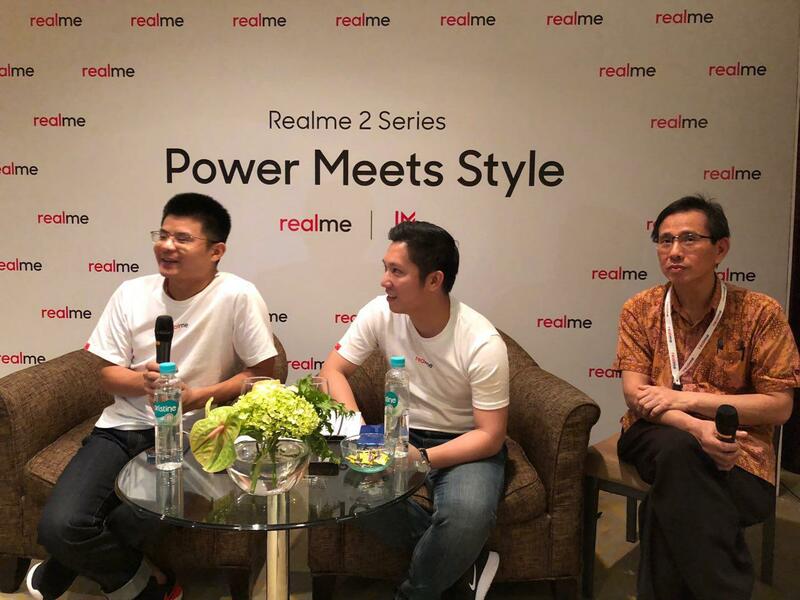 Chinese smartphone brand Realme launched its Realme 2 series of phones earlier today (9 October) in Jakarta, Indonesia, following the successful release of its Realme 1 series in India where it sold 1 million units in just four months. They also unveiled the entry-level range of smartphone, Realme C1. Josef Wang, Marketing Director of Realme Southeast Asia (SEA), shared that Realme is a “young brand” and they will “target the young generation”. The Realme 2 is the embodiment of a product that’s powerful yet stylish through four ways: Real Needs, Real Style, Real Service, and Real Indonesia. Firstly, to fulfil the Real Needs of their customers, their product has to have a unique design, a smarter camera, and a phone that’s pocket-friendly among others. Secondly, the Real Style of the phone manifests in the form of a diamond-cut design with a crystal-like dewdrop back cover and a super-view notch full screen. 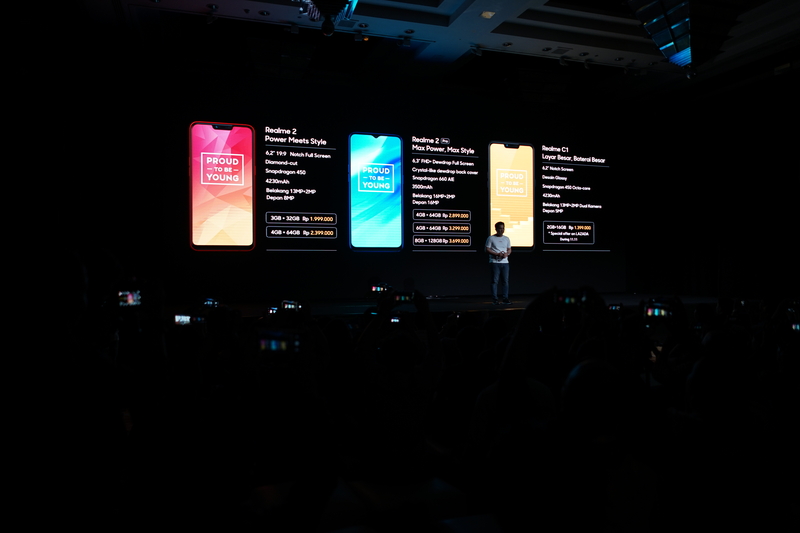 Next, Realme also wants to offer Real Service that provides 360° care from online to offline, pre-sale to after-sale services and includes service on LAZADA Indonesia, support through social media, and one-hour quick service support. 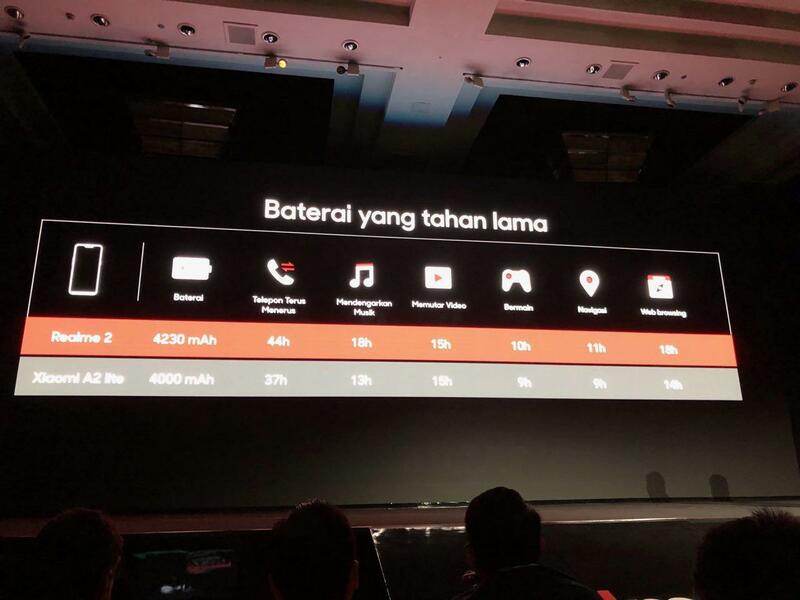 Finally, it’s revealed that the phones are fully manufactured in Indonesia for the local market and they’ll be building a community to serve the Indonesian market. A quick comparison of battery lives on the Realme 2 and the Xiaomi A2 Pro shows that the former OPPO sub-brand is slightly superior to the latter brand in almost every aspect. This series of camera features come with AI abilities such as ‘AI shot beautification’ and ‘AI scene recognition’. The phones let users unlock in three ways, the face, the fingerprint, and via Bluetooth or Wifi. 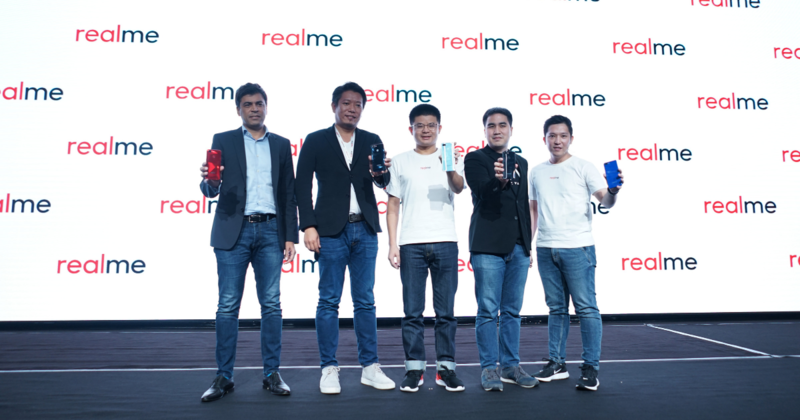 According to a statement by Josef, the launch of Realme in Indonesia and SEA marks a “new chapter for the brand to become a game changer in the global smartphone industry”. 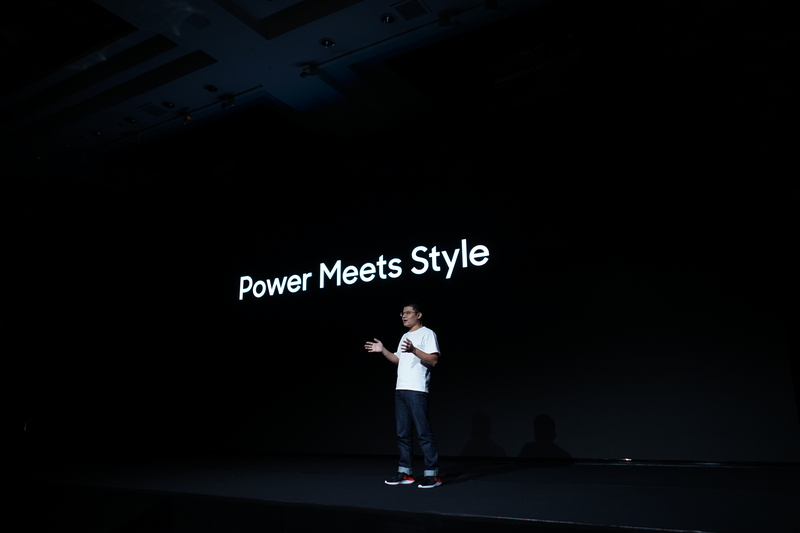 “We define it as ‘Power Meets Style’ – Realme is focused on bridging the gap by providing products with the latest innovations along with strong performances and stylish designs,” he said. To reach out and engage with their audiences, Realme has partnered with Lazada Indonesia to connect with 560 million customers. The Realme 2 series launches exclusively on Lazada Indonesia from 16 October onwards. In a separate interview with Josef Wang, he clarified that Realme and OPPO are two individual brands. Realme was previously a sub-brand of OPPO and was founded by Sky Li, a former OPPO executive, on 4 May 2018 (National Youth Day of China). He shared that as the smartphone industry is highly competitive, they see the opportunity to meet the needs of the younger generation all over SEA and that they “try to be [themselves] first, to find [their] target audience first”. They want to make products meet the needs of their customers who range from college students to ‘first-jobbers’, he added. When asked about the company’s entrance to Singapore, he said with the launch of Realme in Vietnam, Thailand, Malaysia, and Philippines market, it will come to our sunny shores “very soon”.